Contaminant Plumes of the Lawrence Berkeley National Laboratory and their Interrelation to Faults, Landslides, and Streams in Strawberry Canyon, Berkeley and Oakland, California. 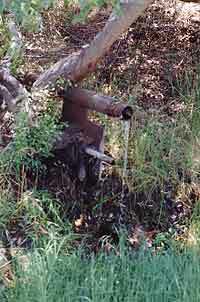 LBNL has been required to monitor radioactive accidents and chemical releases that have contaminated the groundwater and tributary streams of Strawberry Creek, which flow westward from the jurisdictional boundaries of Oakland to Berkeley and the UCB Campus. There has been concern by the public that mitigation to protect public health might be compromised by the lack of comprehensive (and agreed upon) information on the potential transport pathways of contaminants along bedrock contacts, faults, and landslides. Without such information, the array of sampling wells designed to monitor contaminant migration have not been strategically placed to define the limits of contamination or potential plume migration. During 1991, the Department of Energy's (DOE) Tiger Team found 678 violations of DOE regulations that cover management practices at LBNL. A key finding was that air, soil, and water in Berkeley and Oakland are contaminated with tritium and other radioactive substances and toxic chemicals. Our project and this report "Contaminant Plumes of the Lawrence Berkeley National Laboratory and their Interrelation to Faults, Landslides, and Streams in Strawberry Canyon, Berkeley and Oakland, California" was supported by a grant from the Citizens' Monitoring and Technical Assessment Fund (MTA Fund) to the Committee to Minimize Toxic Waste (CMTW). The report addresses the need to compile and develop publicly accessible maps of Strawberry Canyon, which show the geologic and geomorphic characteristics that might influence ground and surface water movement near known LBNL contaminant sites. The intent of this map compilation project is to show where there is or is not agreement among the various technical reports and scientific interpretations of Strawberry Canyon. 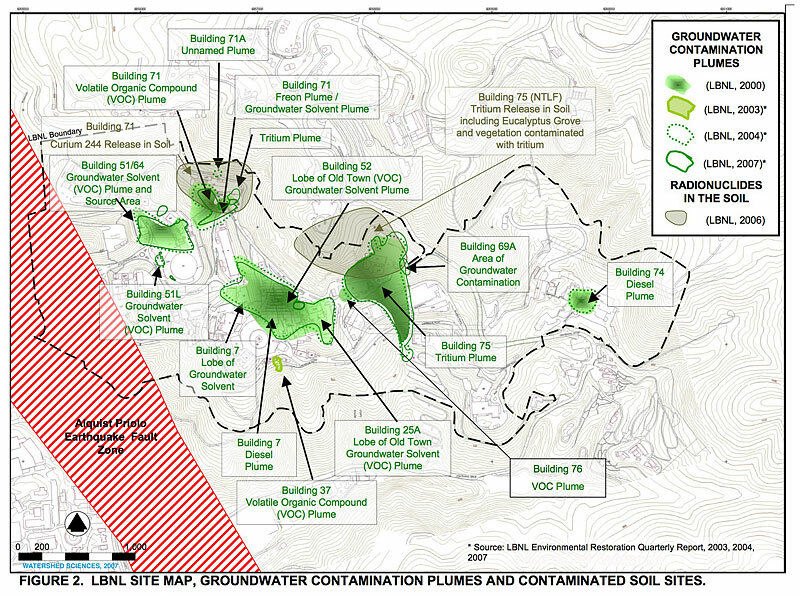 The report is specifically designed to demonstrate what is known about the key components of Strawberry Canyon that can influence surface and subsurface water transport, particularly near infrastructure and known contaminant plumes at LBNL. We have taken the key elements of surface drainage, geology, faults, and landslides and divided them into distinct subsections for this report. We first provide a General Site Description and then provide information about the Contaminant Sites. This is followed by a brief discussion of Methods used in the report to produce original maps and compile existing information. 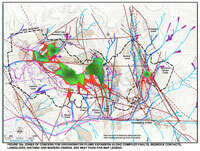 Within the Results section, each subsection on Surface Drainage, Geology, Fault mapping, and Landslides provides background information and a few smaller scale maps showing recent interpretations. Larger maps are provided to show compilations of recent information. These compilations are used to determine whether there is agreement by different researchers about the location of faults, bedrock contacts, or landslides. Each compilation map shows the contaminant plumes in the context of the different physical elements to determine if those elements could have potential influences on contaminant transport. The Plume Monitoring Sites are then shown to indicate the array and position of sampling and monitoring wells. This latter information is presented in much detail in several online documents produced by LBNL (2000, 2003, 2004 and 2007) that can be downloaded from their web site (www.lbl.gov/ehs/index2.shtml). Within the Results subsection, a map on Zones of Concern is provided that indicates potential groundwater migration sites near each plume that might not be adequately sampled or understood given the present status of knowledge of factors that can influence groundwater transport. 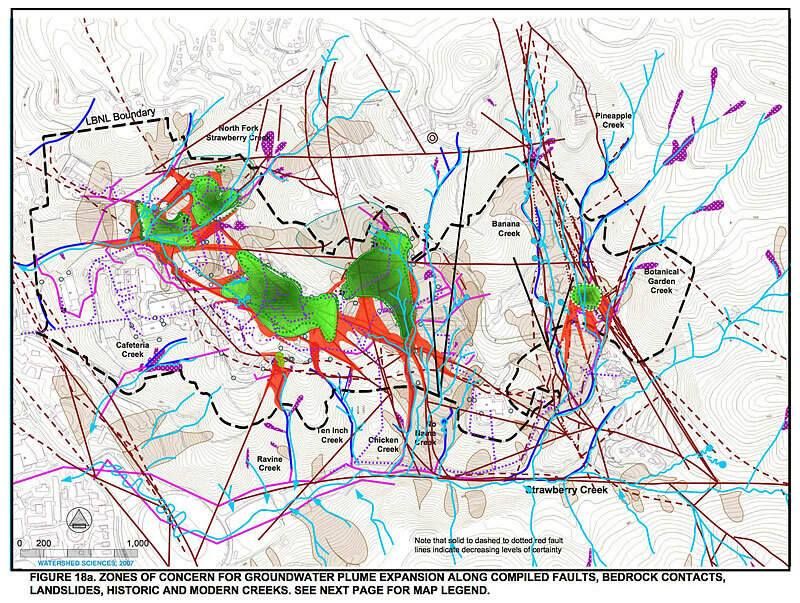 A map showing Future Development and Site Conditions and the compilation of potential factors that could influence plume migration is shown as the final map within the Results section. Conclusions and General Recommendations are provided at the end of the report.